Ever had trouble finding parking at the Chapel Hill Public Library? You’re not the only one, but what do you expect when the library’s popular location near Estes and Franklin street gets around 1,800 daily visitors? People might say that not having enough space for parking is a good problem for the library to have; it means people are using the town’s facilities. But while that might be true, library director Susan Brown said, it’s a problem that needs addressing, nonetheless. 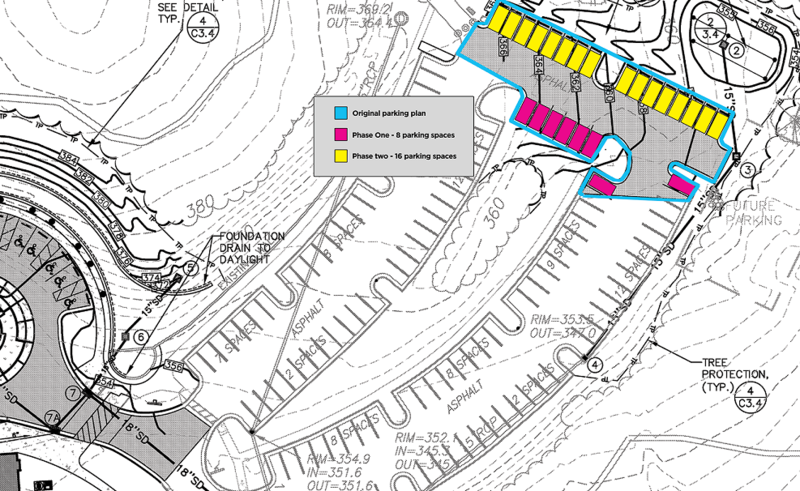 Phase one will begin this Spring, with re-marking of the upper parking deck to one-way and adding eight spaces to the back end of the lot. The project is estimated to begin this April, and will cost around $50,000. Phase two is significantly larger and will involve adding 16 parking spaces to the upper deck. Funding for that project has not yet been identified but might come from the Capital Improvement Program after fiscal year 2020. Phase one might also include an off-site kiosk for patrons to pick-up and drop-off library materials, but that project is dependent on a pending grant application. An off site drop off kiosk is a brilliant idea. It gets my endorsement. I don’t think 24 spaces will solve the problem. I’ve used the library since it was on Franklyn Street and can’t tell you the number of times I’ve driven through the libraryl ot looking for parking. I’m a senior citizen and need parking that is easier than the farther lower lot and the new area you propose. Are you monitering day long parking of students and shoppers ect. that may be usng your parking? Parking is the reason I do’t use the library as much as I would like. I just pick up books so I don’t need more than 30 mnutes. I live in Carolwoods and would use bus service if there was a bus that went to the library on its route without changing buses. Maybe you could see if the town would offer bus service that goes to the library as one of its stops in the off hours. Will you have electric car charging stations? So for a little more than $6000 for each, you are going to have only eight more parking places for phase one? If I am understanding this correctly, it sounds like you are paying $50,000 for eight spaces, you do not have the money for the next twelve, and you will be cutting down trees for phase two. I use the library weekly and know the parking can be bad sometimes, but it does not seem like this money is being spent in the best way possible.